If you’ve been waiting for some new Star Wars movies, then the time has finally come! Walt Disney Pictures has issued a press release announcing that the company has “agreed to acquire Lucasfilm Ltd.” This is HUGE news that can greatly change the future of the Star Wars franchise. Continuing its strategy of delivering exceptional creative content to audiences around the world, The Walt Disney Company (DIS) has agreed to acquire Lucasfilm Ltd. in a stock and cash transaction. Lucasfilm is 100% owned by Lucasfilm Chairman and Founder, George Lucas. This is not the first film company that Disney has bought out; they previously acquired Pixar and Marvel Studios. 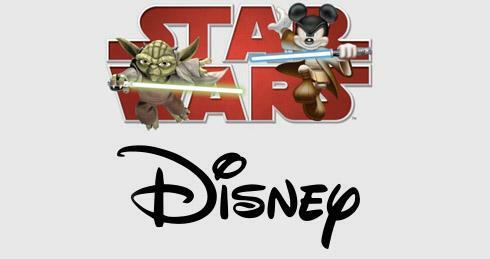 So while it may not be so surprising to think that Disney would buy Lucasfilm, what does seem shocking is that no one seemed to know it was coming. Kathleen Kennedy, current Co-Chairman of Lucasfilm, will become President of Lucasfilm, reporting to Walt Disney Studios Chairman Alan Horn. The company has also confirmed that a “Star Wars: Episode 7” is targeted for 2015, with “more feature films expected to continue the ‘Star Wars’ saga and grow the franchise well into the future.” Lucas will act as creative consultant while Kennedy will be executive producer.